Home » Entertainment » Latest News » Cold As Ice: Is Dunia Batma Splitting From Al Turk After He Announces Tumor? Cold as Ice: Is Dunia Batma Splitting From Al Turk After he Announces Tumor? 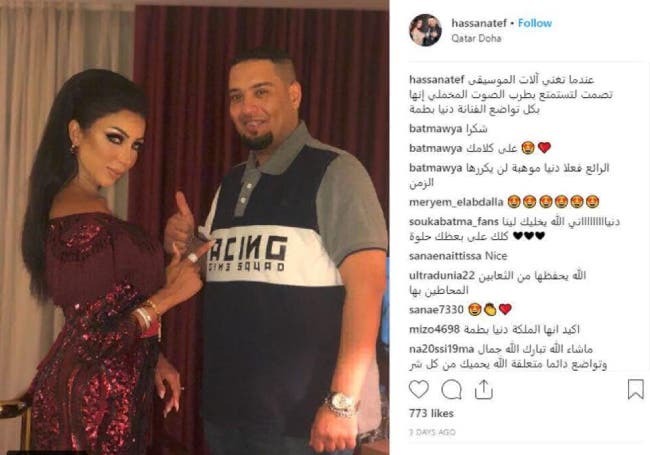 Moroccan songstress Dunia Batma raised questions regarding her relationship with her Bahraini husband and manager Mohammed Al Turk, after he revealed he has a tumor through his social media accounts. Dunia seems to have not interacted with the news shared online and to have ignored the posts completely which got her followers curious. Instead, Batma continued to post pictures of herself that promote her work ignoring her husband's health related posts, including his statements regarding missing his mother, his children and the family atmosphere. This raised speculation about a possible split, especially that Dunia seems to have changed some information in her Instagram account bio, yet keeping the title "Um Ghazal" (Ghazal's Mom) and revealing the identity of her new manager theatre and TV actor Hasan Atef. 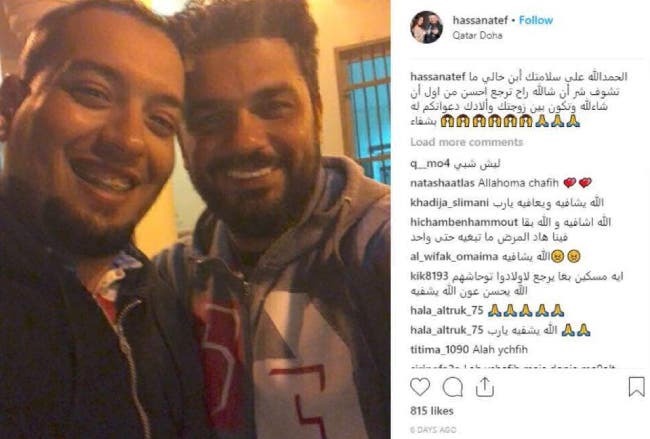 From his side, actor Hasan Atef previously posted a picture with his relative Bahraini producer Mohamed Al Turk to console and support him during his health distress, asking his followers to pray for his cousin and wish him a fast recovery which also got people suspecting that Batma did not split form her husband but only changed her management until her husband is fully recovered. Other news websites announced that Batma could be in dispute with her husband after he announced how he misses his kids and family, specially that she recenlty announced her husband's daughter teen star Hala Al Turk was a burden that she got rid of fast.